Project Spartan, the much anticipated replacement for Internet Explorer, has been released to beta testers for the first time in a new preview build of the upcoming Windows 10 operating system. Microsoft officially announced it would retire Internet Explorer, which has been a mainstay of Windows for nearly twenty years, at its Windows 10: The Next Chapter event in January. Project Spartan introduces deep integration with Microsoft’s Cortana voice assistant and OneDrive syncing framework, support for stylii including the ability to create and share custom annotations on Web pages, and a user-friendly reader mode that eliminates distractions such as animations on Web pages. While Cortana will only be available in the US for this build, it will roll out globally by the final release. 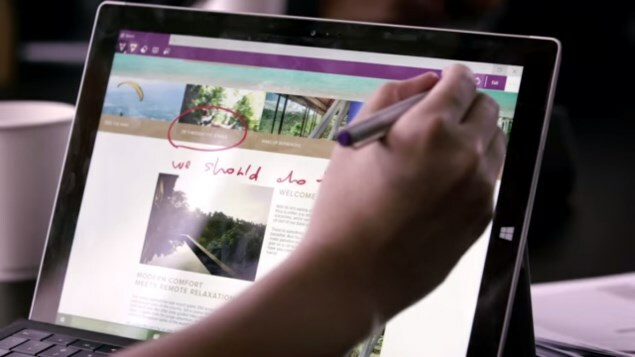 “Web Notes” can be shared via social networks or stored in a user’s OneNote workbook. Project Spartan also features a brand new page rendering engine called Edge, and its interface has been built from the ground up. Not all features are fully implemented in the first preview. Microsoft warns that the current incarnation of Project Spartan is not final, but is soliciting real-world user feedback. Developers and eager fans who have signed up for the “fast ring” of Microsoft’s Windows Insider programme will be able to download and install build 10049, which includes the new Project Spartan browser. The new browser will supplant Internet Explorer and will be highly visible on the desktop and in the touch-friendly launcher UI. Microsoft has not yet announced what its new browser’s final name will be. The company has indicated that while Internet Explorer will not be a very visible part ofWindows 10, it is also not going away entirely. Businesses that require backwards compatibility, especially those that have resisted upgrading from older versions of Windows, will be able to use IE on Windows 10 for the forseeable future. Windows 10 is expected to be released late in the third quarter or early in the fourth quarter of 2015. The new operating system will be available as a free upgrade to Windows 7 and 8 users. It is largely seen as an attempt by Microsoft to tone down the radical departure it made in Windows 8 a new touch-friendly tiled interface that alienated desktop and laptop users. The software giant will also be hoping to once and for all unify the Windows experience across touch-based and non-touch devices ranging in size from smartphones to desktops.